So, I’ve got something here that makes me feel a little bit rockstar in the garden. Gloves with claws, y’all. GLOVES. WITH. CLAWS. I was sent a pair of Honey Badger Gloves gloves in exchange for an honest review. All opinions are mine because yo, farmgirls don’t lie. Honey Badger Gloves are gloves meant to kill two gardening birds with one stone. Gloves to protect your hands, claws to help you dig. I was really interested to try these out because I thought the concept was really neat. I’m actually a pretty lazy gardener and I don’t like carrying tools with me to do my thing. Is it possible that a pair of gloves could eliminate my need for a lil’ garden shovel? But the main thing I was wondering about? This: it didn’t matter what Mr. Honey Badger claimed, I didn’t see any way that my fingertips weren’t going to hurt from those claws. I mean, I’m gonna push my fingertips into claws and then into my clay soil and then I’m going to dig, y’all. I wanted Honey Badger Gloves to prove me wrong. I was sent two pair of Honey Badger Gloves. The green pair was larger and clawed on the left hand, the pink pair smaller and clawed on the right hand. Since I’m right handed, I figured it would be best to wear the claw on my dominant hand. 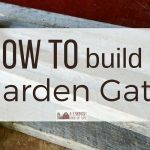 It worked really well for working through the soil in one of my raised gardens. I know that I could easily make a trench for seeds or dig holes to set transplants in. Y’all, there was no need for my to grab a garden tool for this. So, did my fingertips hurt after all that digging? I’m happy to report that the sore fingertips I expected to feel were totally not a thing. Seriously! These gloves make use of “leverage technology” which means that when you’re using the claws, you’re not actually using your fingertips. You’re using a stronger part of your finger to make the claws dig. It’s something special about their design, which is shown here. I will add the caveat: to ensure that the claws work in the best way possible, you have to make sure the glove is the right size for your hand. If the glove is too big, it will shift around just enough that you have to work harder at clawing the ground. And since in that situation, the claws aren’t sitting correctly on your fingers, your fingertips will hurt. Such was my experience when I used the large pair of gloves they sent me—if you compare the pictures of the gloves on my hands, you can tell an obvious difference in how the pink and the green glove fit my hands. When I used the smaller gloves that fit my hands better, my fingertips were happy-happy-happy. No lie. They’re all protected and snug up there in the claws. I was a farmish kind of girl with happy lil’ fingertips. Honey Badger Gloves sell for 24.95/pair if you want the claw on one hand or you can get claws on both hands for $29.95/pair. They are available to purchase on Amazon or at the Honey Badger Gloves website. To learn more about these fab gloves, why they were created, and how and why they work, you can check out the Honey Badger Garden Gloves’ website, Facebook page, and Pinterest. I love reading your blogs, your style makes me giggle! Great post! Gotta look for these when we start the landscaping phase of things! I can’t lie–I positively chortled with glee when I saw that these gloves exist. What a brilliant idea! I bet it was super satisfying, too, to just honeybadger your way through some soil. What group do you use for reviewing items at a discount? I’m a frequent user of AMZreviewtrader and Snagshout…is this a similar website? Very cool idea…thanks for the review! I am constantly wearing out the fingertips on my gloves from digging. I will be looking for these to try out.